The guys from BMW Abu Dhabi are known for their souped up BMW models, sold to some of the most demanding customers out there, asking for what may seem like the impossible. Their latest delivery is a striking appearance no matter how you look at it. 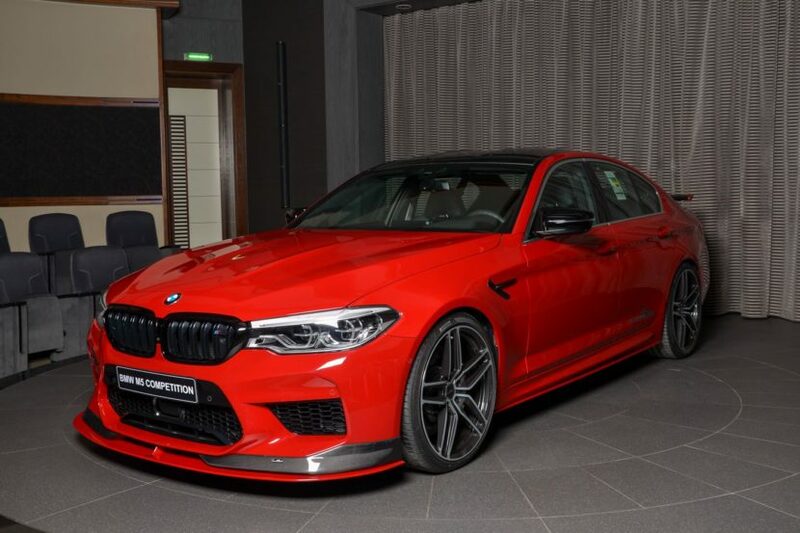 This BMW M5 Competition, dressed in Imola Red and wearing AC Schnitzer aftermarket bits is definitely a head turner, if not for the color then definitely for the add-ons. 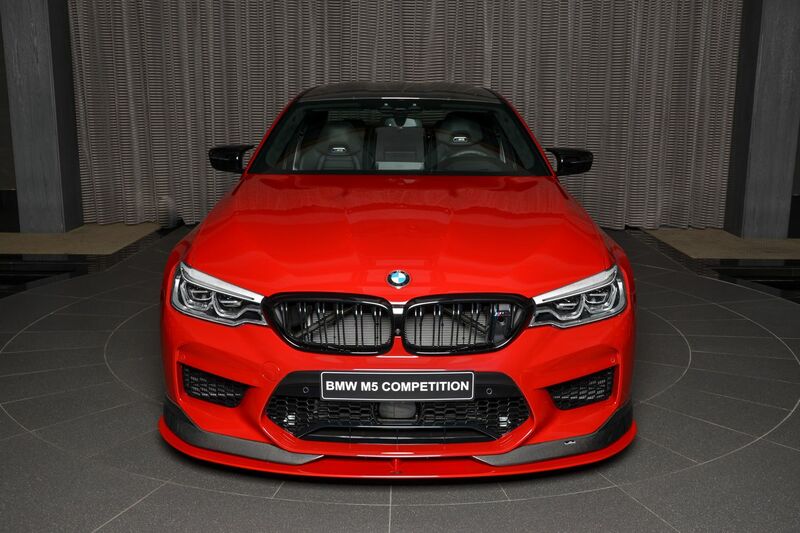 Looking at the M5 head on you’ll notice the glossy black kidney grilles up front as well as the new AC Schnitzer splitter attached to the front bumper. The splitter is made up of two sections: a carbon fiber bit attached directly to the bumper and an additional piece underneath it, which has been painted to match the color of the car. The side mirrors have also been painted black to match the overall theme of the car. Look to the sides of the car and you’ll also have to notice the new AC Schnitzer wheels wrapped in Pirelli tires along with the carbon ceramic brakes this monster comes with, hiding behind them. The side sills also appear to have gained new aprons while the rear doors feature the AC Schnitzer logo on them. Round the back a new diffuser adorns the bumper and encompasses the quad tailpipes of the AC Schnitzer exhaust. Oh, and we shouldn’t forget about the massive carbon fiber wing on the boot, from the same German tuner. There’s no word on whether this car also received an AC Schnitzer power upgrade but chances are the owner got that as well. It’s not that the 625 HP of the stock engine wouldn’t be enough but if you can get more power and money’s not an issue, why not get it?